The “CDFIs in Action Tours” are one of the many activities you can look forward to each year at the OFN Conference. Participants can get out into the host city on buses—and for a lucky few this year, on a bicycle—to learn more about investments made by local CDFIs. Don’t miss out on these opportunities to visit some of the vibrant neighborhoods in Chicago and to see our colleagues’ work in person. Learn how coordinated investment has helped transform the historic Pullman neighborhood from a community struggling from steel mill closures and foreclosures to one experiencing growth. Tour four supportive housing projects that demonstrate Quality Supportive Housing. These projects demonstrate best practices that other CDFIs can adopt for strategic and effective investment in supportive housing. This tour will feature partners and projects in driving growth and creating new economic opportunities in the Southside neighborhoods of Woodlawn and Englewood. When Little Village lost its long-standing community bank in 2012, Self-Help Credit Union and The Resurrection Project stepped in before predatory lenders could further expand their neighborhood presence. While visiting local sites, participants will discuss the preservation of community assets, the role of community development credit unions, and access to capital. Join a guided bike tour of one of Chicago's most historic areas, greater Bronzeville, the focal point in the Midwest of the African American Great Migration. Learn about the role that CDFIs are playing to reverse what is now often called the Great Black Exodus. This bike tour will cover roughly 20 miles at a leisurely place. 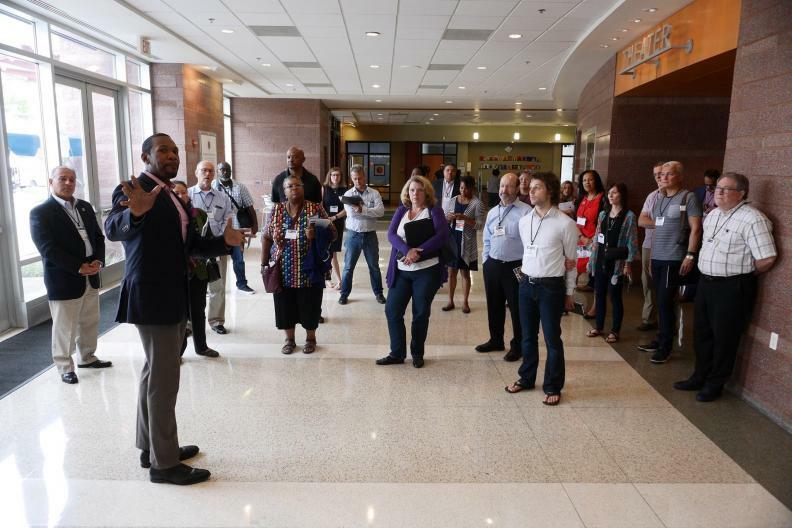 On this tour, you’ll visit transformative projects in Bronzeville, the historic epicenter of African American art, culture and politics in the 20th century.